If there is one characteristic of being an artist/business person/human being that makes me just cringe with pain, it is networking. 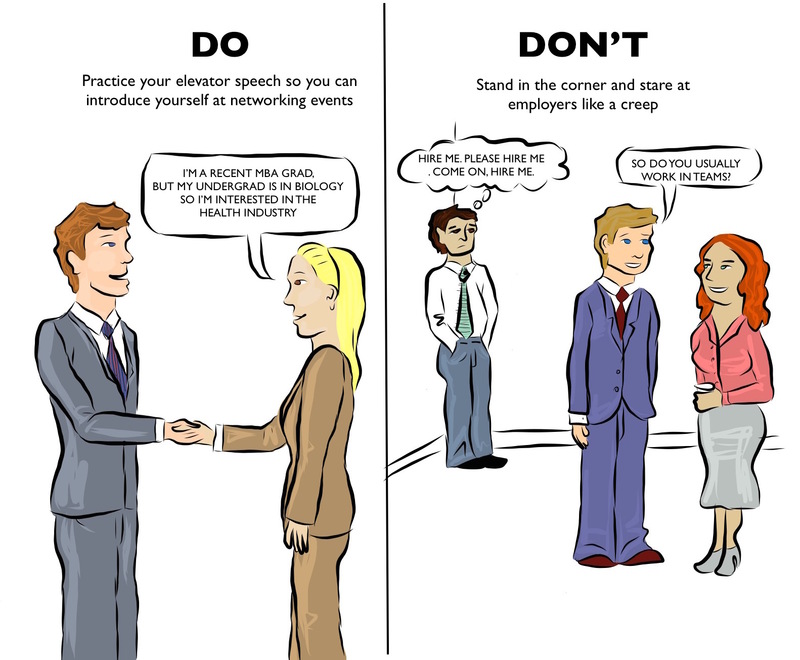 I have been guilty many a time of attending networking events and failing to speak to anyone. However, simply showing up at networking events isn’t going to do anything for you. You need to talk to people and make connections. If you’re job hunting – 80% of jobs are not advertised, therefore, all of the jobs you see posted are only 20% of the jobs out there. The more connections you make and mentors you gather, the more likely someone will connect you with someone that is hiring or recommend you for a position. If you’re an artist, you will never create relationships with galleries who may want to represent you, or with businesses that may want you to work with them on a project, or other artists that may want to have a group show or to collaborate, by standing in the corner staring at them. So, how do we get over this networking anxiety? If you’re like me, when you do get the courage to talk to someone, you are also painfully awkward. Well have no fear, there is a solution. Practice. Reflect. And repeat! Go to an event and force yourself to speak to someone. At least one person. Start small if you have to. Stop sitting there and imagining it, just work up the courage and do it. After the event, reflect on the conversation and the interaction. What made you so nervous? Did the other person react in any way? Did everything go okay? Did anything bad happen because you talked to this person? Go out there and try it again! Make yourself goals. Talk to two people, approach someone when you’re by yourself, try to sell yourself, use your elevator speech. As you continue reflecting upon these interactions, you will realize that some of your anxieties are in your head, and that nothing bad happens when you fight them and get yourself out there. Practice will make you better at it, and reflecting will make you more comfortable. So get out there, go to any events possible, and network! I know I know, but you don’t have the time. Make the time. Networking is one of the best things you can do for your career, and it will not be successful unless you practice it!